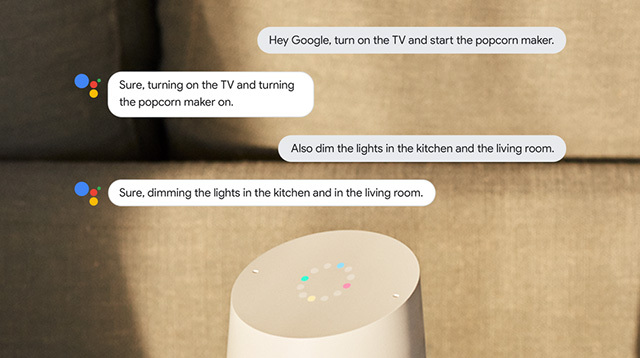 Home > Google News > Google Assistant Gets More Natural "Continued Conversation"
Google Assistant Gets More Natural "Continued Conversation"
Google announced yesterday that they have upgraded the Google Assistant to hold a conversation with you in a more natural way with "Continued Conversation." Continued Conversation basically does what it sounds like, you can be talking to it and not have to say "Okay Google" to trigger yet another question and answer response. This needs to be turned on, it is not on by default and you can turn it on by going to the Google Assistant app by going to Settings, then Preferences, then Continued Conversation and switching the toggle on. This is now available on Google Home, Google Home Mini and Google Home Max.